Houston’s best value residential garage doors & gates. Sentry residential garage doors is proud to serve the entire Houston community. We service & install the best doors & openers in Texas. We only use American made products. Houston’s #1 authority on garage door panels, extension springs, & door motors. Our reputation is what is most important to us. Ask anyone in Houston & they will tell you Sentry Garage Door & Gates can be trusted. And they bring the most value!!! When searching for a residential garage door contractor. It is important to find a reputable company. Sentry Garage Door and Gates certainly meets that criteria! We have a prove track record. And back it up with a guarantee. Our staff members strive for excellence on every project. Because of our dedication. We have earned an A+ rating with the Better Business Bureau. The Houston BBB awarded us with an A+ rating. And we have continued to maintain this rating over time. 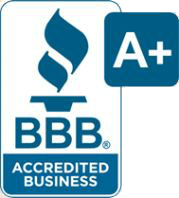 See our BBB Rating as it relates to other door contractors in Houston. We also have many online reviews. These showcase the merits of our service. We understand that many local Houston citizens are looking for the best garage door installers. You found the right place! Our dedication ensures that we will continue to work with each customer until they 100% satisfied. Our company is not only one that delivers a great quality service. But one that is about forming relationships with our customers. We want to hear your feedback. We often look over these reviews and do our best to respond to each one. As a family owned and operated business we want to treat you just as we would any other family member. Our staff members want to deliver realistic quotes. As well as timelines on each of our projects. It is this honesty and this dedication to quality that keeps us so in demand. In demand for our residential garage Houston TX service. When Do You Need A New Residential Garage Door? Should I repair or replace? This is one of the most common questions that we receive. It can be tough to know exactly when the right time is. It might be time to fully replace the garage door. As many garage doors can wear out over time. And because garage door openers can fail over time as well, sometimes repair may not be possible. It is getting too noisy? If your garage door consistently breaks down or causes an excessive amount of noise. It’s definitely time to consider full replacement. We can replace the motor, provide a new chain or track a number of other solutions. Is it an older design? Older garage doors can be unattractive. And may not have the same insulating properties that in your garage door installation may have. With the assistance of our installers we can replace an older style garage door. With a brand-new design! Is there a lack of safety features? An older style garage door may not have the same type of safety features. This can reduce the risk of injury on your property. Want to improve curb appeal? A newer style garage door or updates to your garage door could potentially lead to improvement. If you need professional garage door replacement. It’s likely a very good idea to find one of the most reputable companies in your area. To handle the process of the installation. With a wide range of garage door replacement companies available in the Houston area. Here are some top aspects to look into when picking your next garage door replacement contractor. Track record: Look at past reviews. Talk to family members. Ask them about who may have installed their garage door. Check into Better Business Bureau ratings. This can be a good place to start when looking for a garage door company. The quote: Get several quotes from a few companies. This will help you to find the best value on residential garage doors. A company specializing in residential garage doors should offer you several different options. Like for replacement motor. The doors they have in stock, and more. If you aren’t able to find a company that has an inventory of products. Go somewhere else. Working with a company that you can get along with is also extremely important. Finding a family owned and operated company can be a great way to do this. Its best to feel as though you are one of the family. In many cases family owned and operated companies are much more straightforward in their quote. A specialist residential garage doors company can likely provide a much better product. With efficiency you can get cost savings. As well as a garage door installation that will last over a much longer time. Find a residential garage door company with a license, and insurance. Also look for a professional business license. This will ensure that if anything happens on a job site, you won’t be held liable.